New Yorkers utilize every square inch of real estate possible. It would make sense to use the sidewalks in front of their building as well. This can become complicated as the Department of Transportation (DOT) has jurisdiction over that area. Revocable Consent is required when someone wants to build something on public streets or sidewalks, they need to acquire a Revocable Consent from the NYC DOT. Simple put, Revocable Consent is used for the owner to occupy space on city sidewalks or roads. 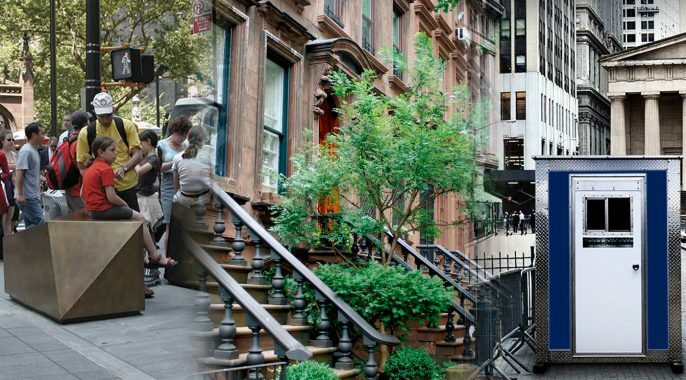 One instance this may be required is when there is work being done on certain stoops in Brooklyn or the addition of a snowmelt system in Manhattan. This means they must be renewed at the end of the term in order to avoid penalty. These depending largely upon what the revocable consent is being issued for, where it is, and for what purpose. These fees vary drastically and are difficult to estimate. One of the more common approvals required is LPC (Landmark) approval for consents in historical districts. Additional approvals from any combination of the DOB, LPC, PDC, etc. may be required. Do I need a DOT Revocable Consent? Although Revocable Consent is required when building something on or under city-owned streets and sidewalks, it must meet certain criteria. For example: sidewalk cafes are handled by the Department of Consumer Affairs. Aside from desired these items to be placed on the sidewalk, reasons are required for doing so. Fees may also be assessed after initial meetings. Revocable consents require meetings to discuss the extent of the consent, phasing and propose yearly fees. There are several forms of documentation necessary before obtaining revocable consent. The application that must be submitted is sometimes referred to as a petition. This form asks basic information such as the adjacent property, its owner or lessee, and the proposed structure. It’s important to note that your petition must also be accompanied by a plan drawn by a professional engineer or registered New York architect. The filing fees for the petition range from $100 to $750 depending on the necessary requirements. The entire filing, review and approval process may take from 3-6 months. Direct Access Expediting can obtain Revocable Consents. We make it easy by coordinating with the DOT and utilizing our extensive DOT knowledge to properly prepare all documentation. Our engineers and architects will help make the process simpler. We can assist from any stage of the project, from ideation to construction. Please contact us to hear how we can help. Posted in DOT and tagged DOT, revocable consent.